As a member of our sales team, I am often asked this question: “Can blogTO or any of your publishers write about my brand?” The short, quick answer is, yes and no. Some sites do advertorial, some do sponsored content, and they all create custom programs. Most of the feedback I receive while working with different clients often leans into an affinity for advertorial. My question is why? What makes advertorial so appealing and why is sponsored content the misunderstood cousin? Truth is, we are living in a time with a very robust and complex media landscape. There are so many effective ways to amplify a brand or product. This can seem scary or exciting! Either way, let’s take a dive into the definitions of each media property and take a moment to understand how they differ from one another. ​An advertisement in a newspaper or magazine that is designed to look like an article by the writers of the magazine. Advertorial has parlayed itself into the digital media arena and has remained a vital part of the content marketing mix. This form of paid content is generally used to hook prospective customers by leveraging the voice and audience influence of a respected publisher while speaking directly about the paying advertiser’s brand. This establishes a platform for a brand to tell a very traditional, direct story to their targeted demographic about their brand or product. The advantage of advertorial pieces is that the advertiser is able to craft a very specific message within the content and present those aspects of their brand they wish to highlight to prospective customers. I think this is why advertisers lean on advertorial first: they want to tell consumers directly why they’re great, On the flip side, readers can become defensive about such direct advertorial pieces and may instinctively challenge those brand attributes the advertiser wanted to highlight. A lighter approach to advertorial is to have a piece written that briefly mentions the brand within the context of something your target consumer finds interesting or helpful. Think about profiling a holiday destination while mentioning that a given airline is now flying to that destination. The airline benefits from being written about, but the readers have been given a whole range of inspiring ideas about why they should go there as well as how they should get there. Depending on where you sit within the content marketing world, sponsored content can take on many different definitions. For us here at Suite 66, we take pride in distinguishing our own definition that best represents how we build meaningful relationships with brands and our celebrated publishers: sponsored content has an advertiser and a publisher agree to an article theme that makes sense for both the publisher’s and advertiser’s brand. The advertiser then sponsors or ‘presents’ that article knowing that it aligns with their brand values and will be informative or entertaining to their target audience. This paid partnership borrows the trust and affinity publishers have built with their large, loyal audiences and essentially positions a client through a publisher’s lens. The raw approach to understanding this partnership and how it differs from advertorial is understanding that a brand itself has not produced the published written content, nor are they mentioned directly in it. Rather a brand has sponsored a piece that reflects an aspect of the brand’s personality or connects to a key aspect of the kind of consumer a brand is looking for. 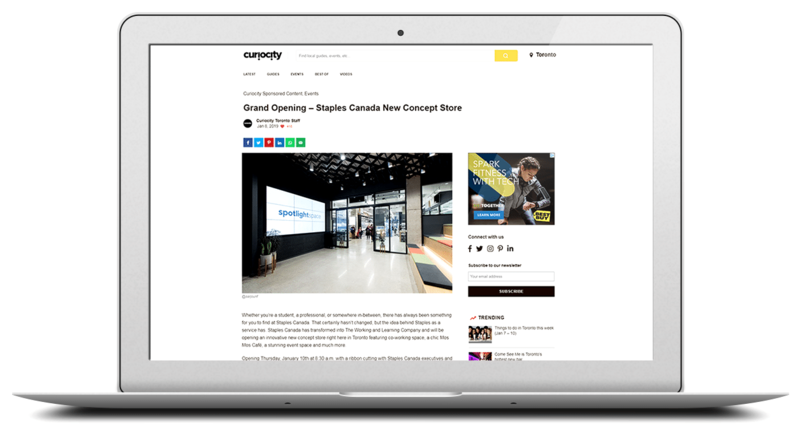 An inclusion of a sponsor mention within the content piece is the paid opportunity for the brand, as is surrounding the article with the brand’s ads. By choosing publishers that feature content that resonates with their target demographic, there is an opportunity to partner and target tactfully. The advantage of sponsored content is that it allows brands to tell a story in a less aggressive manner that is more likely to find a receptive audience; by tapping into content that fits the intent of the reader, rather than the intent of the brand, sponsored content helps to create a positive association between the brand and the content. While this may encourage the reader to find out more about the brand, the article doesn’t have the same ability to present the brand attributes in a direct way like traditional advertorial. As the roles of online publishers continue to evolve, there are also opportunities to pair with publishers as social influencers. Through publishers’ social media presence, the non-traditional door opens further. This is a fascinating adaptation of advertorial as on social media, publishers can talk directly about a brand and find a receptive audience. As many of us follow brands on social media, we’re much more open to seeing and reading about brands in this way. Through publishers as influencers, brands are able to position themselves within a trusted authentic space. This also creates the opportunity for ad-hoc style new content to be generated through the publisher. Social content can be created quickly and posts provide immediate feedback: that feedback allows brands to quickly adjust approach if necessary. The shelf-life of social posts is short and they don’t have the longevity of other online tactics, though are very effective as a part of an advertising strategy. How do media planners, marketing strategists or small business owners go about deciding on which media product would be most effective to invest in? Since we all love a little smoke and mirrors (let’s be honest, this is the media industry after all), I am going to tell you that its entirely up to you! TA-DAH! In all seriousness, talking to the team here at Suite 66 about your goals for your brand will help us craft the right tactics for you. One thing I can tell you is that we often see high CTRs and engagement rates with sponsored content because people want to see things they can relate to. 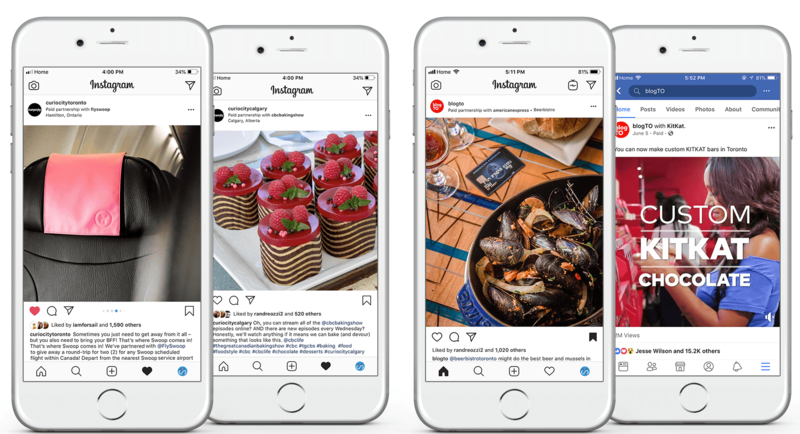 Sponsored social is a fast way to generate awareness and create some urgency: we love seeing people tag their friends on posts about our clients. Feedback is immediate and you gain valuable insight into consumer opinion. Advertorial is great for product launches where you need to detail more about your brand and it works especially well in combination with other tactics to get your name out there. As always, drop us a note, give us a call, message us on social. We’re ready to talk through each of these options with you and create the custom campaign you need.